This name uses Spanish naming customs: the first or paternal family name is Saviola and the second or maternal family name is Fernández. Javier Pedro Saviola Fernández (Spanish pronunciation: [xaˈβjeɾ ˈpeðɾo saˈβjola feɾˈnandes]; born 11 December 1981) is a retired Argentine professional footballer who played as a forward. Known for his speed, dribbling and ability to score from almost any attacking position on the field, he represented both Barcelona and Real Madrid and was named as the youngest player on Pelé's FIFA 100 list of the 125 greatest living footballers in 2004. Due to his ancestry he also holds Spanish nationality since 2004, and he amassed La Liga totals of 196 games and 70 goals over the course of eight seasons; he started and finished his career at River Plate. An Argentine international for seven years, Saviola represented his country at the 2006 World Cup and the 2004 Copa América, where his team reached the final. He also won a gold medal at the 2004 Olympics. Nicknamed El Conejo (The Rabbit), Buenos Aires-born Saviola made his debut for Club Atlético River Plate at the age of 16, and went on to be a prolific goalscorer for the club. He helped River to the 1999 Apertura and 2000 Clausura championships, and earned the 1999 South American Footballer of the Year award. Still only 18, he gained a reputation as a phenomenal prospect, and was even regarded as a potential heir to Diego Maradona, in particular after he broke the latter's 1978 record by becoming the youngest player to win the Golden Boot award. In 2001, aged 19, Saviola moved abroad to play for FC Barcelona in a £15 million transfer. 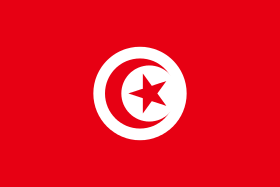 He obtained Spanish citizenship shortly after, thereby not being restricted by the Spanish league maximum on the number of non-European Union citizens allowed in each club. Under coach Carles Rexach, he scored 17 goals in his first season, finishing joint-fourth top scorer in La Liga. Saviola's second year at the club did not start well, as he only scored two goals in the first half of the season. When Van Gaal was fired and Radomir Antić became the new Barcelona manager, he went on to net 11 goals in the latter half of the campaign; at the start of the following season Frank Rijkaard was appointed as new manager, and the player scored 14 times in the league alone, but was deemed surplus at the club as longtime offensive partner Patrick Kluivert. Saviola was sent on loan in the summer of 2004, moving to AS Monaco FC in Ligue 1. As he did not fit into Rijkaard's plans he was again loaned out the following year, this time to Spanish club Sevilla FC, in order to replace Real Madrid-bound Júlio Baptista; with his new club he won his first title in Europe, conquering the UEFA Cup — he also scored nine times in the league, good enough for fifth. 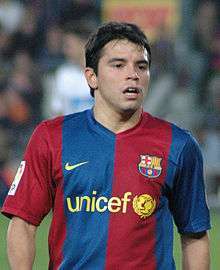 Saviola returned to Barcelona for the 2006–07 season, playing in 18 league games, six as a starter, and netting five goals. He benefited greatly from injuries to teammates, most notably to Samuel Eto'o, and added five in as many matches in that season's Copa del Rey, notably a hat-trick against Deportivo Alavés (3–2 win at home, 5–2 aggregate). On 10 July 2007 Real Madrid signed Saviola after his Barcelona contract expired, on a three-year deal. Although on a financially lucrative contract, he endured a difficult time at Real, being mainly restricted to cup matches and sporadic appearances (mainly as a substitute) in the league and the UEFA Champions League. The arrival of Klaas-Jan Huntelaar limited Saviola's opportunities even more, and he finished his Real Madrid spell with five goals in 28 overall appearances. 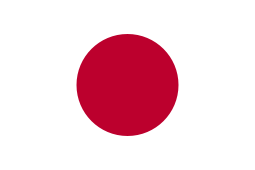 On 26 June 2009, S.L. Benfica and Real Madrid agreed on a €5 million deal that would see Saviola play in Portugal for the next three years, with an option for one more; a €30 million clause was added. He scored his first goal for the club on a penalty in a friendly match against FC Sion and, on 16 July, netted twice to send his team into the Guadiana Trophy finals. On 22 October 2009 Saviola scored two goals for Benfica, guiding them to a 5–0 victory over Everton for the UEFA Europa League (he would also score in the club's 2–0 win in Liverpool in the second match), adding another brace four days later as the Eagles hammered C.D. Nacional 6–1 in the Primeira Liga. On 6 December Saviola scored through a chip shot against Académica de Coimbra, in a 4–0 home win. On 20 December he netted the game's only goal as Benfica defeated rivals FC Porto at home; during the victorious campaign, he formed a deadly offensive partnership with Paraguayan Óscar Cardozo, with the pair combining for more than 50 goals overall. On 3 January 2010, after receiving the Portuguese Liga Player of the Month award, Saviola scored another winning goal against Nacional, again being the game's only scorer in an away defeat of Rio Ave FC, netting in the 46th minute. He netted his 19th goal overall in a 3–1 home triumph against F.C. Paços de Ferreira on 7 March, and the Eagles were eventually crowned league champions after a five-year wait. In the last hours of the 2012–13 summer transfer window, Saviola agreed on a move to Málaga CF. He played 45 minutes in his first appearance, a 1–0 win at Real Zaragoza on 1 September. On 15 September 2012, Saviola scored once and provided one assist in a 3−1 home win against Levante UD. He continued with his streak the following game, Málaga's first-ever in the Champions League group stage, netting in a 3–0 home win over FC Zenit Saint Petersburg. On 25 July 2013, Saviola signed a two-year contract with Greek champions Olympiacos FC. He scored his first goal in the Superleague on 25 August, coming in at half-time and helping his team come from behind to win it 2–1 against Atromitos F.C. at home. On 10 December he netted a brace – and also missed a penalty – in a 3–1 success over R.S.C. Anderlecht also at the Karaiskakis Stadium for the group stage's last round, which helped the Piraeus outfit to the second position and the subsequent qualification, at the expense of former side Benfica. On 2 September 2014, Saviola joined Serie A club Hellas Verona FC. He made his official debut on 22 September, starting in a 2–2 home draw against Genoa CFC, and scored his first goal on 2 December, netting the only in a home win over Perugia Calcio for the Coppa Italia. His sole goal of the league season came on 25 January 2015, the only one in a home victory over Atalanta BC. On 30 June 2015, River Plate announced that Saviola had returned to the club. He left in January of the following year, after failing to find the net in his second spell. Immediately after retiring, 34-year-old Saviola was appointed assistant manager at FC Ordino in the Andorran Primera Divisió. Saviola starred in the 2001 edition of the FIFA U-20 World Cup, held in Argentina. He was top scorer and was voted player of the tournament, as the national team won the competition; with 11 goals in seven games, he became the record goal-scorer in the tournament's history. Two years later, Saviola played in the 2004 Olympic Games and won the gold medal. 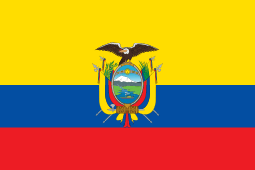 Under coach Marcelo Bielsa he was given few playing opportunities for the senior team but, after the former's resignation in 2004, new manager José Pekerman, who also worked with him at youth level, turned the tide in the player's favour; he was also a member of the squads that reached final of the 2004 Copa América and the 2005 FIFA Confederations Cup, netting three times in the former tournament and one in the latter. Saviola was called up to represent Argentina at the 2006 World Cup – Luciano Figueroa and Luciano Galletti were also in contention for a place on the roster, but his excellent form for Sevilla secured his place in the squad. He scored against Côte d'Ivoire in the country's opening game, and made two assists in the 6–0 victory over Serbia and Montenegro also in the group phase. Saviola retired from international football on 5 December 2009, although not yet 28. He stated that he felt his career as an Argentina player had come to an end, and that he wanted to concentrate on club football. Saviola was sponsored by sportswear company Nike, and appeared in commercials for the brand. In a global advertising campaign in the run-up to the 2002 World Cup in Korea and Japan, he starred in a "Secret Tournament" commercial (branded "Scopion KO") directed by Terry Gilliam, appearing alongside footballers such as Luís Figo, Thierry Henry, Hidetoshi Nakata, Roberto Carlos, Ronaldinho, Ronaldo and Francesco Totti, with former player Eric Cantona the tournament "referee". 1 2 Monti, Fabio (7 July 2001). "Saviola come Diego, al Barcellona da re" [Saviola like Diego, at Barcelona as a king] (in Italian). Corriere della Sera. Retrieved 7 February 2015. ↑ "Can Saviola repeat Maradona's feat?". FIFA.com. 15 June 2001. Retrieved 3 March 2015. 1 2 Williamson, Laura (28 May 2009). "Is United's destroyer Lionel Messi the first 'New Maradona' worthy of the name?". Daily Mail. Retrieved 3 March 2015. ↑ Bonachera, Rocío (31 August 2012). "Saviola: "Trataré de aportar lo máximo al equipo"" [Saviola: "I will give of myself as much as i can to this team"] (in Spanish). Vavel. Retrieved 31 August 2012. ↑ "Real Zaragoza 0–1 Málaga". ESPN Soccernet. 1 September 2012. Retrieved 3 September 2012. ↑ "Mágico Saviola, histórico Málaga" [Magical Saviola, historical Málaga] (in Spanish). Marca. 15 September 2012. Retrieved 17 September 2012. ↑ "Saviola the hero as Olympiacos squeeze through". UEFA.com. 10 December 2013. Retrieved 10 December 2013. ↑ "Verona, ecco Saviola, il bomber argentino del Barcellona prima di Messi" [Verona, here is Saviola, Barcelona's Argentine bomber before Messi] (in Italian). La Gazzetta dello Sport. 2 September 2014. Retrieved 19 October 2014. ↑ "Verona salvage stalemate". Sky Sports. 24 September 2014. Retrieved 19 October 2014. ↑ "Verona-Perugia 1–0: Saviola manda i gialloblù agli ottavi con la Juve" [Verona 1–0 Perugia: Saviola sends the gialloblù into the last 16 against Juve] (in Italian). La Gazzetta dello Sport. 2 December 2014. Retrieved 5 December 2014. ↑ "Serie A: Javier Saviola nets winner for Verona against Atalanta". Sky Sports. 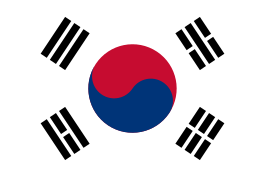 25 January 2015. Retrieved 27 June 2015. ↑ "Saviola, mano a mano en su vuelta a River" [Saviola, one-on-one on his return to River] (in Spanish). Club Atlético River Plate. 30 June 2015. Retrieved 1 July 2015. ↑ "Saviola deja River" [Saviola leaves River] (in Spanish). Marca. 7 January 2016. Retrieved 9 February 2016. ↑ "Saviola ficha por el Ordino de Andorra" [Saviola signs for Andorra's Ordino] (in Spanish). Marca. 19 September 2016. Retrieved 19 September 2016. 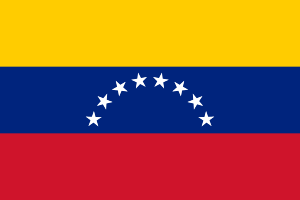 ↑ "Copa América 2004". RSSSF. Retrieved 17 February 2015. ↑ "Argentina 6–0 Serbia & Montenegro". BBC Sport. 16 June 2006. Retrieved 17 February 2015. ↑ "A lighter shoe, cooler kits, a faster ball, a Secret Tournament – every touch counts". Nike. Retrieved 26 May 2015. ↑ Cozens, Claire (3 April 2002). "Cantona hosts World Cup with a difference". The Guardian. Retrieved 26 May 2015. 1 2 3 4 5 6 7 8 9 "J. Saviola". Soccerway. Retrieved 4 January 2014. ↑ "Argentina – Record International Players". RSSSF. Retrieved 9 February 2016. ↑ "South American Team of the Year". RSSSF. 16 January 2009. Retrieved 10 March 2015. 1 2 "FIFA World Youth Championship Argentina 2001 – Awards". FIFA.com. Retrieved 2 February 2015. 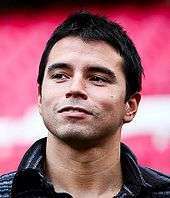 Wikimedia Commons has media related to Javier Saviola.